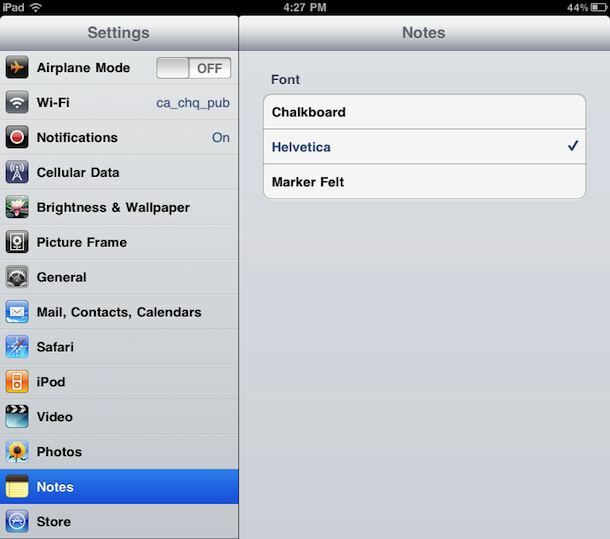 Are you tired of the scribbly marker looking font in the Notes app on the iPhone, iPad, or iPod touch? Want to have a different font in Notes app for iOS? No problem, you can select a variety of font options to be the default on the Notes app. Helvetica is by far the cleanest looking choice, and Marker Felt is the new default. 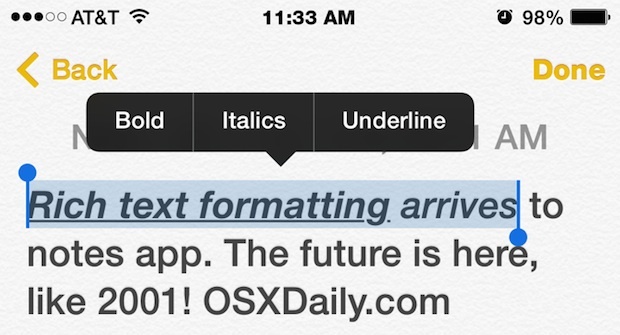 Similar fonts can be changed in the Notes app in Mac OS X since it’s addition to modern releases of OS X too. Updating to modern versions of iOS is always a good idea for more features. You can download iOS 4.2 beta now if you’re a developer, otherwise this functionality and much more with iOS 4.2 comes to the iPad, iPhone, and iPod touch in November. There’s also the quirky way which works in precious versions of iOS. Enable a Chinese Pinyin keyboard. In Notes (existing or a new one) switch to the Chinese keyboard, hit any key and the font changes to Helvetica (I guess). From there you can type any language. I like the way you explain things!